Transparency Law | Sevilla F.C. For this reason, we are fully complying with the above mentioned stipulations by listing the operations carried out by SEVILLA FÚTBOL CLUB, as per Section 2, firstly listing their nature and legal framework in order to secondly describe the different operations carried out by the organization in accordance with applicable legislation. Then we will reference the applicable legislation, as per Section 3, and will describe our organizational structure, Section 4. Operations carried out by the Club S.A.D. 1. Participation in official football competitions of a professional nature at the national level. 2. The promotion and development of sporting activities of one or various types of sport, and participation in corresponding competitions. 3. The commercialization and operation of sporting events, products, and rights connected to the sporting activities, professional team, and team media. All of these activities may be carried out to a full or partial extent, indirectly through affiliated Companies to which the Company provides shares or any type of participation that has an identical or similar purpose. Law 10/1990 of 15 October, regarding national sport, Articles 12 to 29. Royal Decree 203/2010 of 2 February, approving legislation for the prevention of violence, racism, xenophobia, and intolerance in sport. 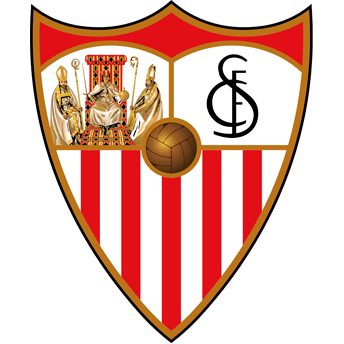 *Note: the following links are for informative purposes and Sevilla Fútbol Club is not responsible for whether the information contained within is up-to-date. *Note: Sevilla Fútbol club does not carry out customer satisfaction nor quality surveys regarding services provided. d) Budgets, describing the principle budgetary divisions as well as up-to-date and clear information regarding their status. e) Annual accounts and auditing or oversight reports provided by the external inspection body carrying them out. f) Annual compensation received by upper management of the companies included in the scope of this law. Similarly, severance compensation will also be made public if applicable. For this purpose, the information regarding contracts and agreements signed by the Club/Company and subsidies received from the Public Administration is listed here, as per sections 2, 3, and 4. Additionally provided is the documentation regarding budgets and annual accounts, including the amounts received by senior members of management, as per sections 5, 6, and 7. Sevilla Fútbol Club S.A.D. is not undergoing any type of bankruptcy procedures. Currently, Sevilla Fútbol Club has no such agreement with the Public Administration. In accordance with the stipulations listed in Article 8 d) of Law 19/2013 of 9 December, regarding transparency, access to public information, and good governance, the following documentation therein referenced has been provided here. 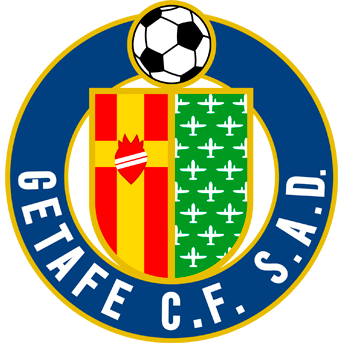 (*) Includes Supplies, Non-Sporting Staff costs, the cost of Sporting Staff not able to be registered with the LFP, other operational costs, depreciation – not including intangible sporting assets, other income, allocation of subsidies, financial results, and a safety margin of 3,000,000 euros. Date of deposit in the Commercial Register of the annual accounts corresponding to the fiscal year concluding on 30 June 2015, 22/01/16. Date of submission to the Sports Council (Consejo Superior de Deportes) of the annual accounts corresponding to the fiscal year concluding on 30 June 2015, 11/11/2015. Date of dispatch, to the Liga de Fútbol Profesional (LFP) of the annual accounts corresponding to the fiscal year concluding on 30 June 2015, and other required economic-financial information, on 27/11/2015. E) Indicators of the Transparency Act. With the application of this set of 60 indicators, each Football Club / SAD obtains an individual score, so that a Ranking or Classification of the level of transparency of the Clubs / SADs evaluated appears.